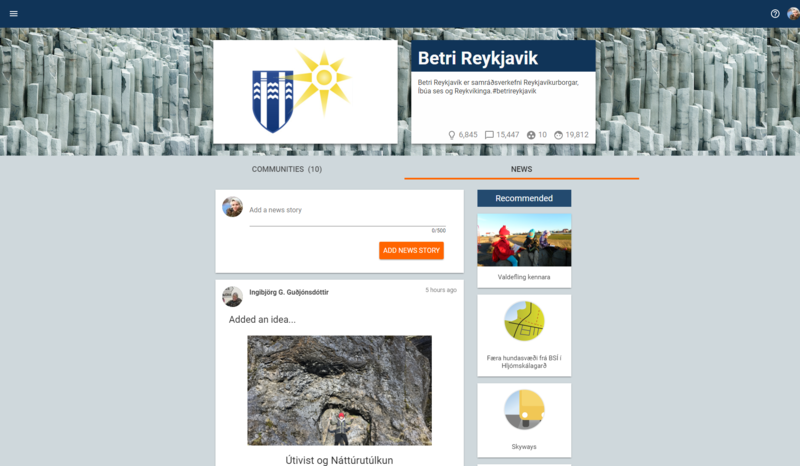 Better Reykjavík is an online participatory social network. 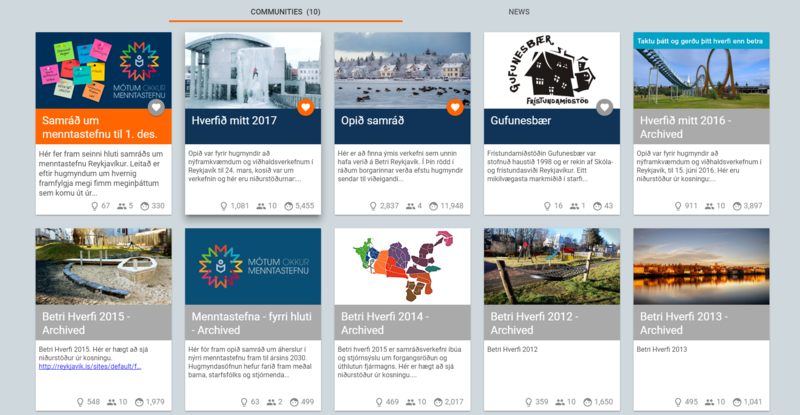 On Betri Reykjavík citizens can present their ideas on municipal issues ranging from services to operations of the City of Reykjavík. It is the most successful example of the use of the Your Priorities platform. It enables citizens to voice, debate and prioritise ideas to improve their city. It does so by creating open discourse between community members and the city council. Betri Reykjavík also gives the voters a direct influence on decision making. Better Reykjavík launched in 2010, a week before the municipal elections in Reykjavík, becoming a major success that has continued to this day. All parties received their own space on the website to crowdsource ideas for their campaigns. Only the Best Party began using it extensively in their campaign. The Best Party won 6 of the 15 seats of Reykjavík City Council and Jón Gnarr became the mayor of the capital of Iceland. 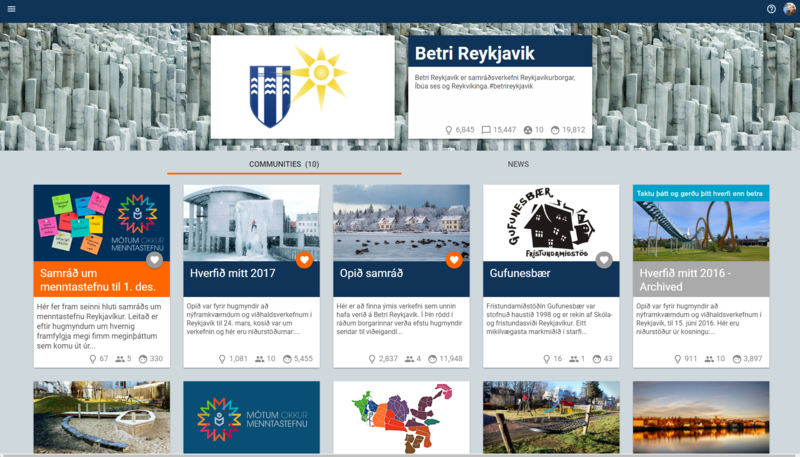 He called on Reykjavík citizens to use the Better Reykjavík online platform also during the coalition talks that happened after the election. 40% of Reykjavík’s electorate used the Better Reykjavík platform in the space of a month and almost 2000 priorities were created. This success led to an open collaboration between Reykjavík City Council and the Citizens Foundation. One of the most successful projects on the Better Reykjavík platform is My Neighbourhood (previously, Better Neighbourhoods). My Neighbourhood is an annual participatory budgeting project in collaboration with the City of Reykjavík. The project has been ongoing since 2011, with 450m ISK (+3m EUR) allocated each year for ideas from citizens on how to improve the various neighbourhoods of Reykjavík. 608 ideas have been approved by citizens in the My Neighbourhood project from 2012-2017. It has resulted in thousands of citizens having had a real influence on their environment. All neighbourhoods of Reykjavík have been visibly improved through the My Neighbourhood project. In 2017 the City decided to crowdsource ideas to co-create the City’s education policy on Better Reykjavík. This was the first time that actual a policy of any government within Iceland was crowdsourced. The process is ongoing, having completed the first phase of prioritising educational objectives. The second phase is ongoing as of November 2017.